Auschwitz-Birkenau, also simply called Auschwitz concentration camp, is the largest of the Nazi concentration and death camps. Located in southern Poland near Krakow, this museum attracts over 2 million visitors per year. A visit here is somber, emotional, and thought provoking, and it is a must-do on a visit to Poland. There are numerous options for getting to and touring Auschwitz-Birkenau. 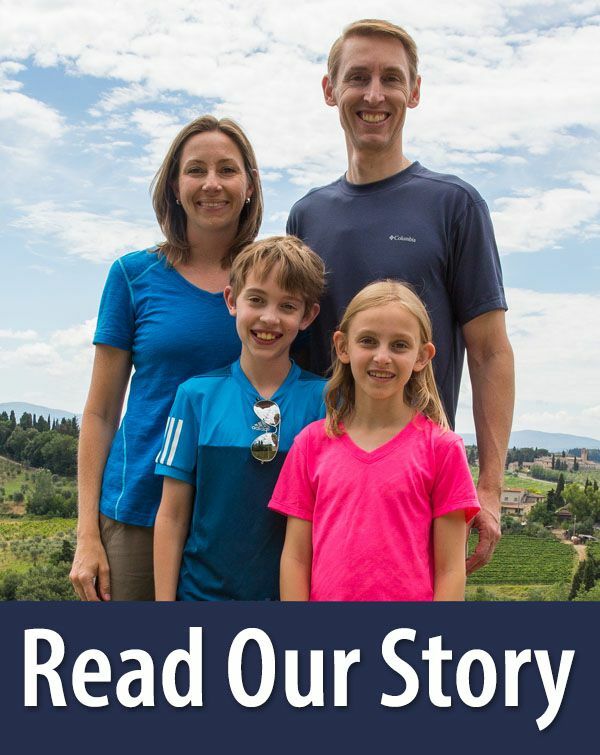 To help you plan the perfect visit, we cover everything you need to know, from scheduling tours, arranging transportation, and what to expect while you are here. Auschwitz-Birkenau is made up of three parts: Auschwitz I, Auschwitz II-Birkenau, and Auschwitz III-Monowitz. 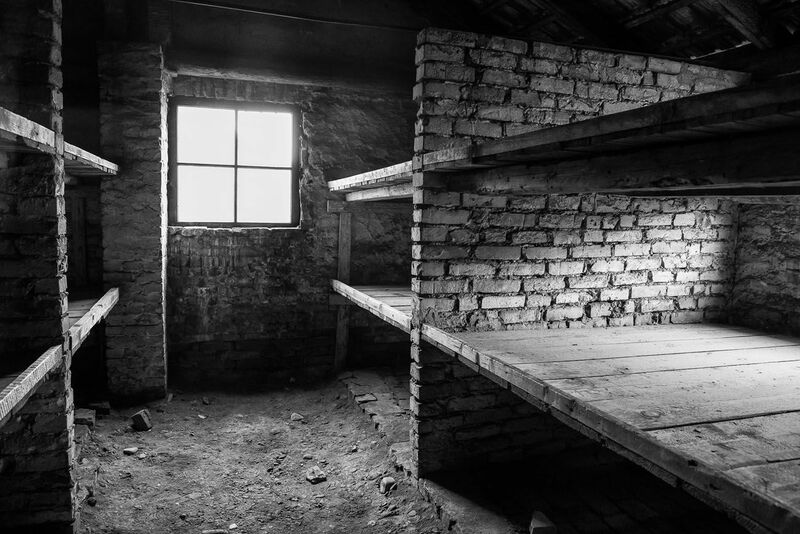 Auschwitz I, the buildings of which were part of a former military base, opened in 1940 as a detention center to hold Polish political prisoners. The role quickly changed and Auschwitz I became a concentration camp and the site where mass exterminations were carried out. 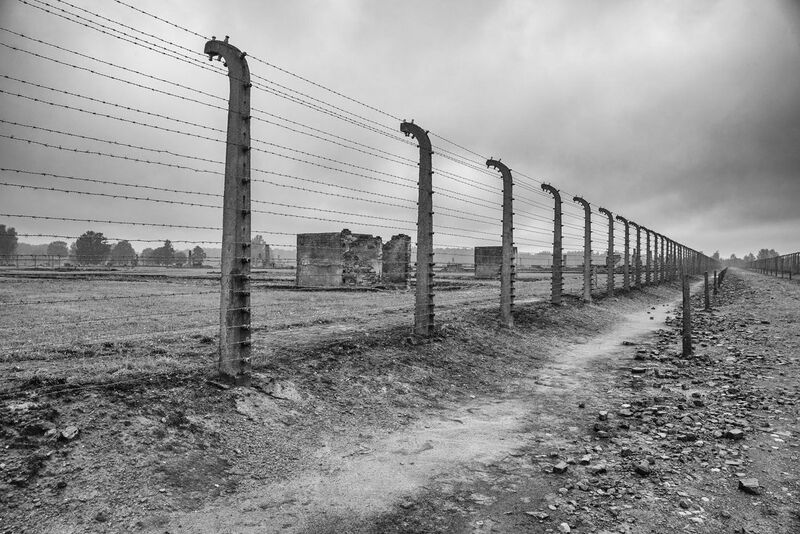 Auschwitz II – Birkenau was opened in 1941, to keep up with the large numbers of political prisoners and Jews that were being deported to Auschwitz. 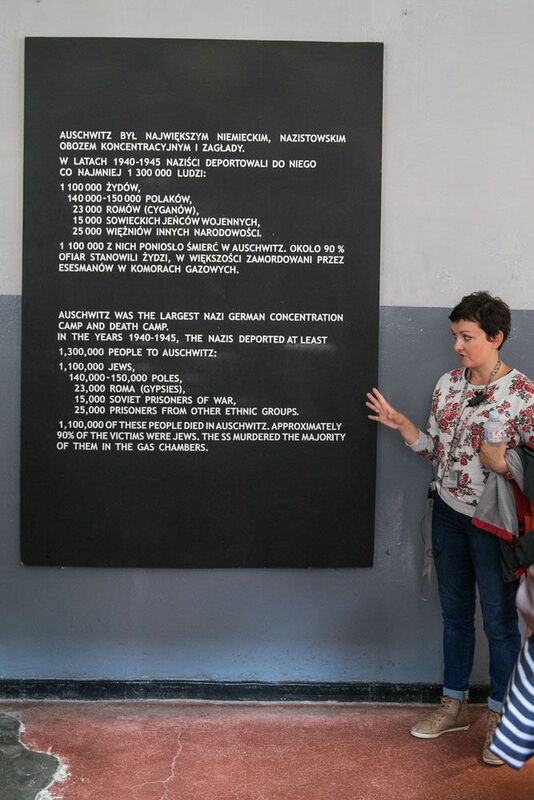 Auschwitz-Birkenau became the primary site of the Nazi’s “final solution to the Jewish problem.” The statistics are sobering. It is estimated that 1.3 million people were sent to Auschwitz and of these, 1.1 million died. 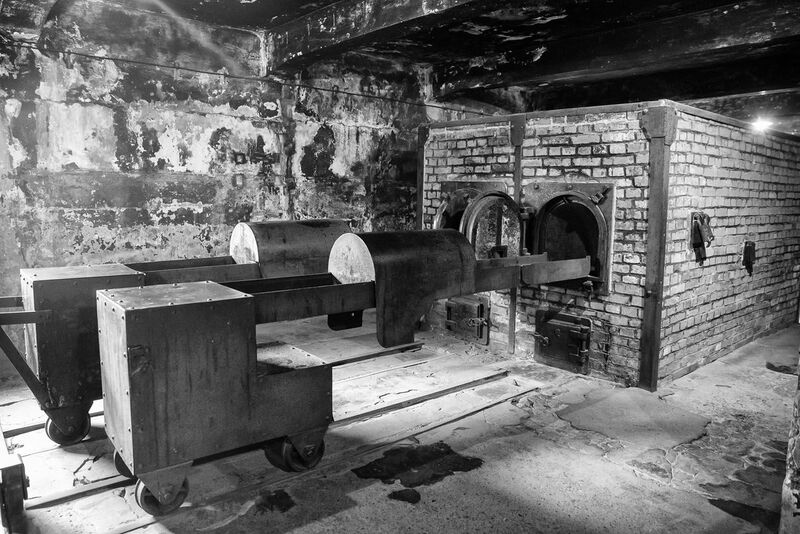 Most people deported to Auschwitz were sent immediately to the gas chambers. Those who did not die in the gas chambers died of other causes, including starvation, infection, medical experimentation, and forced labor. In January 1945, Auschwitz – Birkenau was liberated with the arrival of Soviet troops. Most people who visit Auschwitz-Birkenau do so on a day trip from Krakow. Auschwitz-Birkenau is 75 kilometers west of Krakow. You can get to Auschwitz-Birkenau by car, bus or train. The closest town to Auschwitz is Oswiecim. The bus is the cheapest method of transportation but it can also be time consuming. One-way tickets cost approximately 12 PLN and the journey takes 1 hour and 45 minutes. There are several bus companies to choose from and they leave from the bus station next to Krakow train station. Drop off locations near Auschwitz depends upon the company you choose. Click here to see the bus timetables. 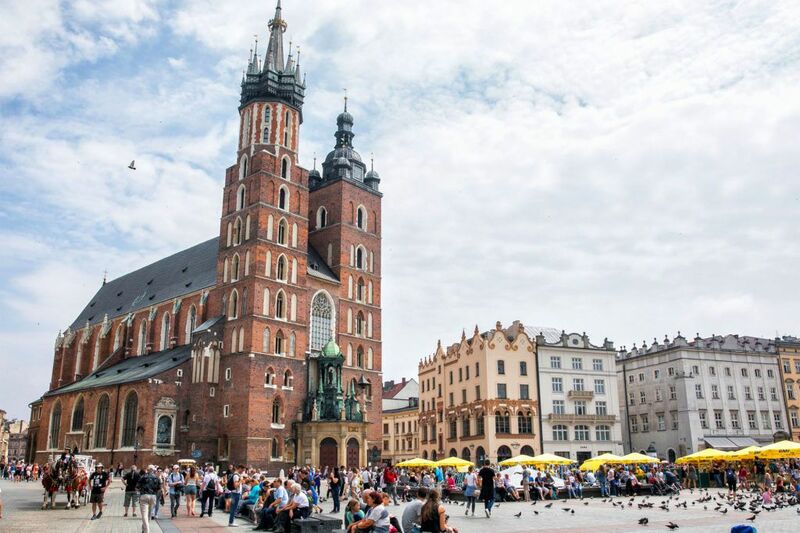 There are direct trains that connect Krakow to Oswiecim, the city that is located 2 km from the Auschwitz concentration camp. It takes 1.5 to 2.5 hours to get to Oswiecim from Krakow. You also have to factor in travel time to the Krakow train station and from the Oswiecim station to Auschwitz. Train tickets cost approximately 15 PLN one-way. Click here to see the train timetables. If you have your own car, it takes about 1 hour and 15 minutes to drive to Auschwitz-Birkenau from Krakow. If you do not have your own car but do not want the time-consuming train or bus option, consider hiring a private driver. You are paying more for the convenience, but you are also saving time. Krakow Direct gets rave reviews and we saw a lot of their vans during our visit to Auschwitz. They operate Mercedes vans which looked almost brand new. They charge 145 PLN (35 euros) per person for a group tour or 295 PLN (72 euros) for a private tour. 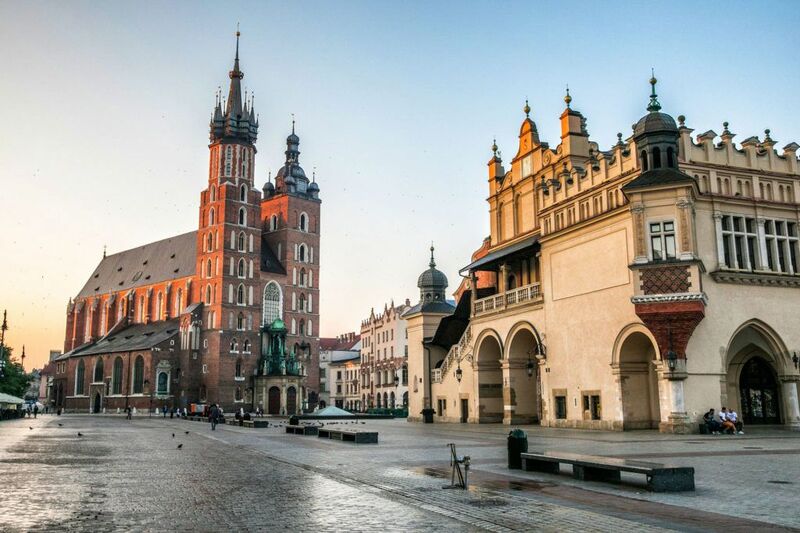 Joining a tour from Krakow is the most convenient but most expensive option. 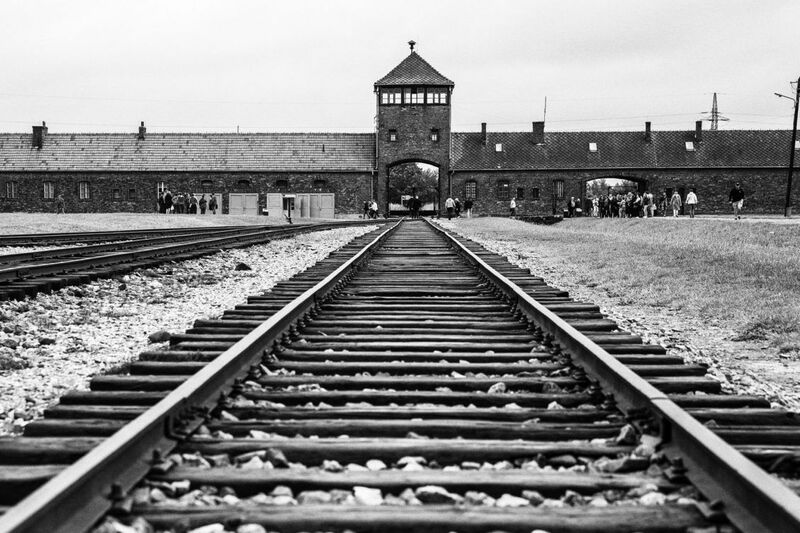 By joining a tour, your transportation and visit to Auschwitz-Birkenau is covered. 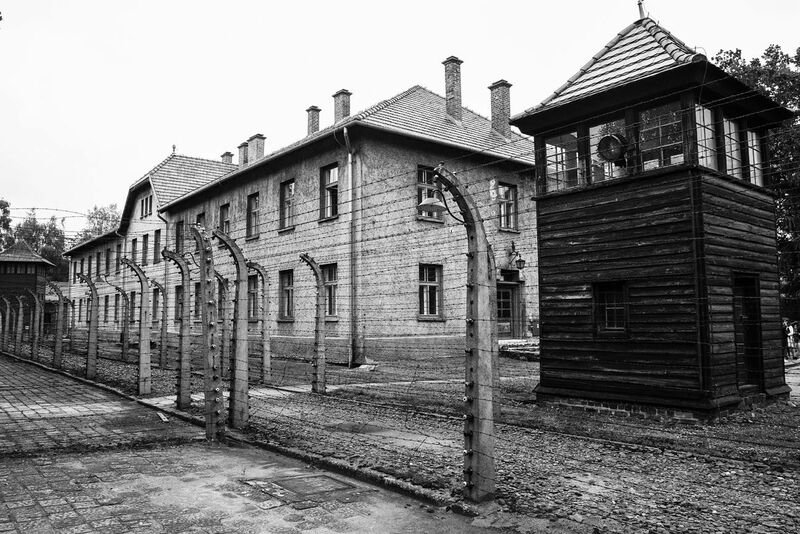 The tour company arranges your transportation and your guided tour of Auschwitz. If you are planning your visit at the last minute, joining a tour guarantees you a ticket into Auschwitz. We booked a tour with Krakow Auschwitz Tours. We paid 152 PLN per person and this included our round trip transportation with pick up and drop off at our hotel and our guided tour of Auschwitz-Birkenau. I booked our tour one month in advance of our visit on the Trip Advisor website. The booking was made through Viator, who served as the middle man between us and the tour company. I never spoke directly to Krakow Auschwitz Tours until the day of our visit. Several days after I made the booking, I got an email notifying me of our 8:40 am pick up time. We did not get to choose our departure time, so you are at the mercy of their tour schedule. We waited outside of our hotel, which was the agreed meeting point, at 8:30 am. At 8:50 am, when no one arrived, I called the tour company. They told me that we had a new pick up time of 9:20 am and that they had emailed this change to me one week ago. I never received this email, and I checked and rechecked my email inbox just to make sure. This was not a good start to our experience with the tour company. The tour has a maximum of 8 people. We were a group of 6: our family of four plus our two mothers, Kathy and Valerie. After we were picked up at 9:20 am, we picked up another couple, and then drove out to Auschwitz. It took about one hour to reach Auschwitz-Birkenau. Along the way we watched a documentary film about the site, a great way to get a little background information. The van was large, very clean, and comfortable. Our driver was a pleasant young Polish man who spoke English. Upon arrival, our driver made sure we met up with our guide, who would take us through our tour of Auschwitz. While visiting Auschwitz I, our driver went out and bought us all bag lunches (sandwich, water, apple, banana, and a candy bar) for an additional price of 22 PLN per person. This was a huge bonus of being on this tour. You don’t have much time between the two sites, so having some food to eat in between kept our stomachs from rumbling. The entire visit, including round trip transportation to and from Krakow, lasted 6.5 hours. 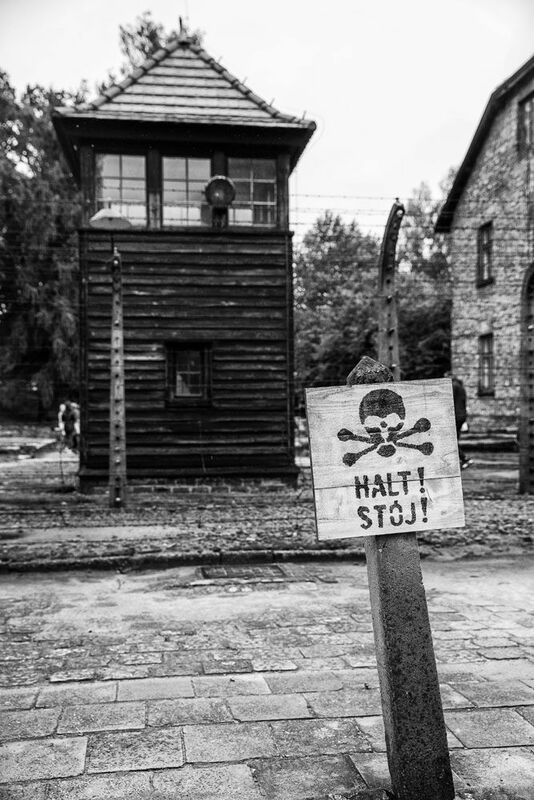 Overall, I was happy with our experience with Krakow Auschwitz Tours. We had a bumpy start, with the delayed departure time, but overall it was a good experience. It was great being with a small group, in a clean and comfortable van, and with a driver who made the lunch run. The video is an added bonus. 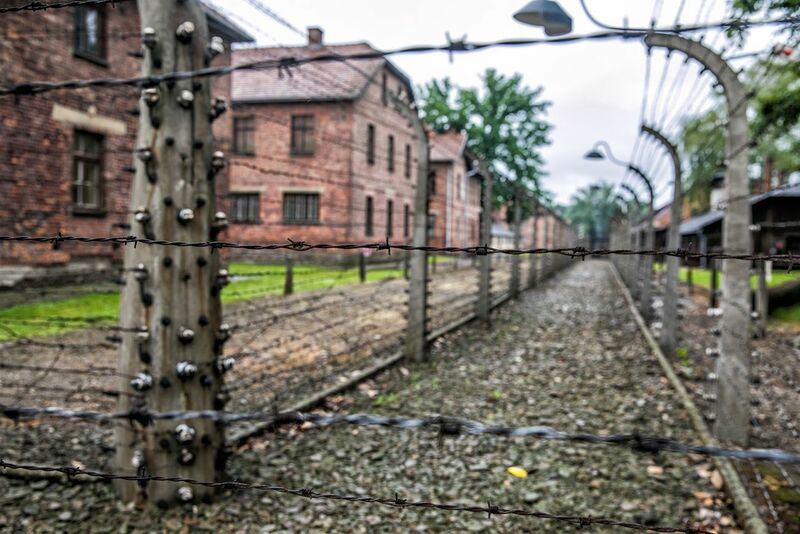 Click here to learn more about Krakow Auschwitz Tours. Verdict: Which Method Should You Choose? 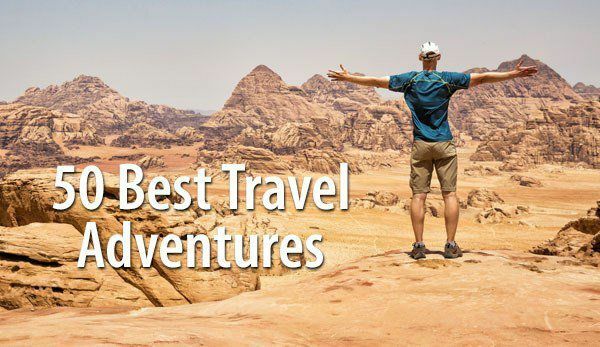 If you are traveling on a budget, the bus is the cheapest option. For as little as 25 PLN (roughly $6 USD at the time that I am writing this) you can get to and from Auschwitz. However, you will have to arrange your own tickets and tour of Auschwitz. 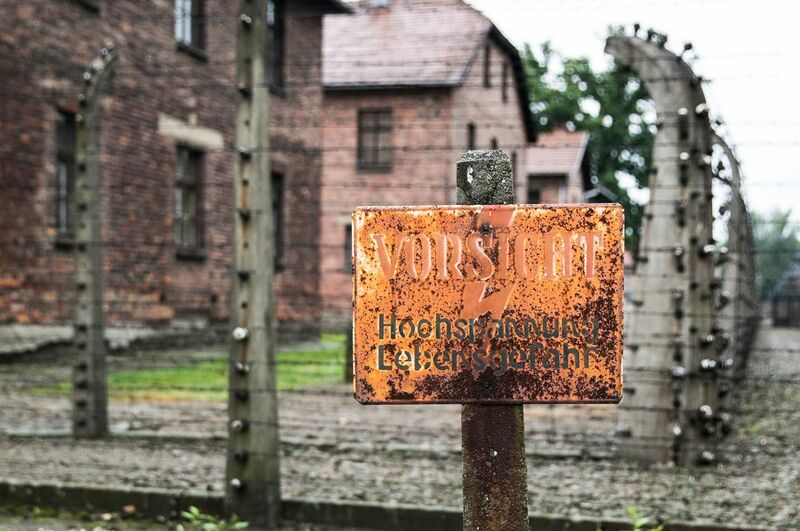 For the most convenient option, join a small tour group to Auschwitz. The price to arrange a private tour is just slightly more expensive than arranging your own driver and guide. It’s a small price to pay have your day run smoothly with very little effort on your part. You can visit Auschwitz on your own or with a guided tour. We avoid group tours whenever possible. The idea of being herded from site to site in a large group and struggling to hear the guide can be torture for us. However, I strongly recommend that you take the guided tour of Auschwitz-Birkenau. 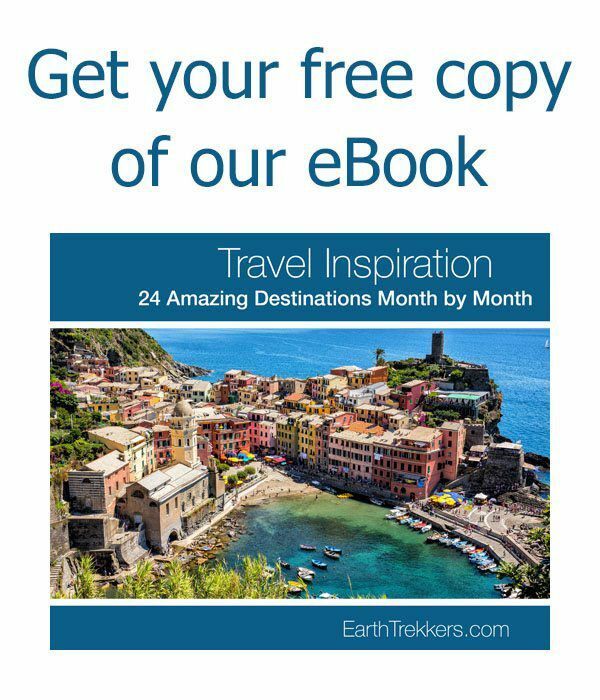 If you really want to get the most out of this visit, joining a guided tour is worth it. Hours of Operation: Daily 7:30 am to 7:00 pm June, July, and August; reduced hours the remainder of the year. Closed on January 1, Easter Sunday, and Christmas. The museum can close during official state visits. Click here for full operating hours and possible closures. You can visit Auschwitz without a guide if you enter before 10 am or after 4 pm. You will need to reserve your time slot in advance because the number of visitors to Auschwitz is regulated. There are 25 time slots every 15 minutes, from 7:30 am to 8:40 am and again starting at 4 pm. Note: these times are during the summer months. 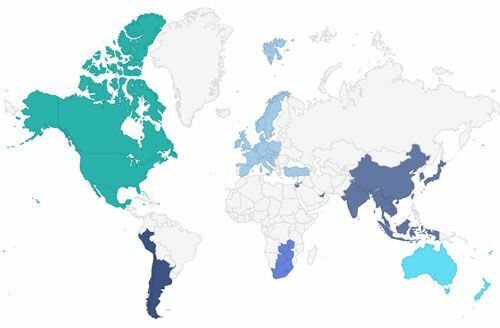 Hours will change depending upon the time of year you are visiting. Since you are visiting Auschwitz without a guide, your visit will be free. 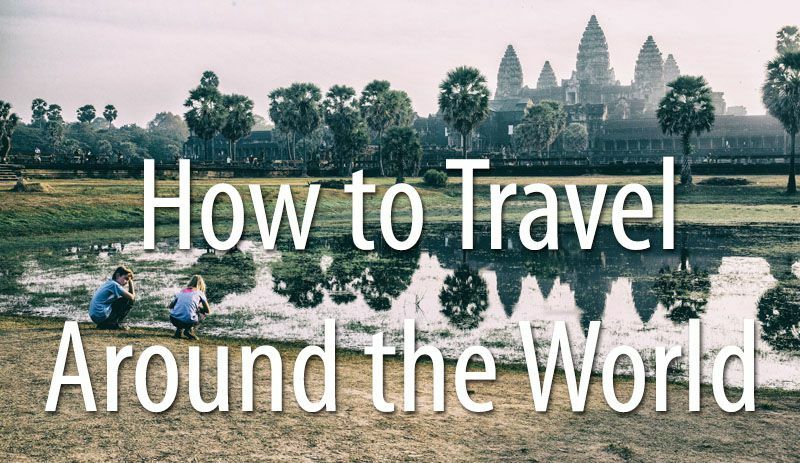 Pro Travel Tip: If you plan on visiting without a guide, reserve your time slot far in advance. These slots get reserved quickly. 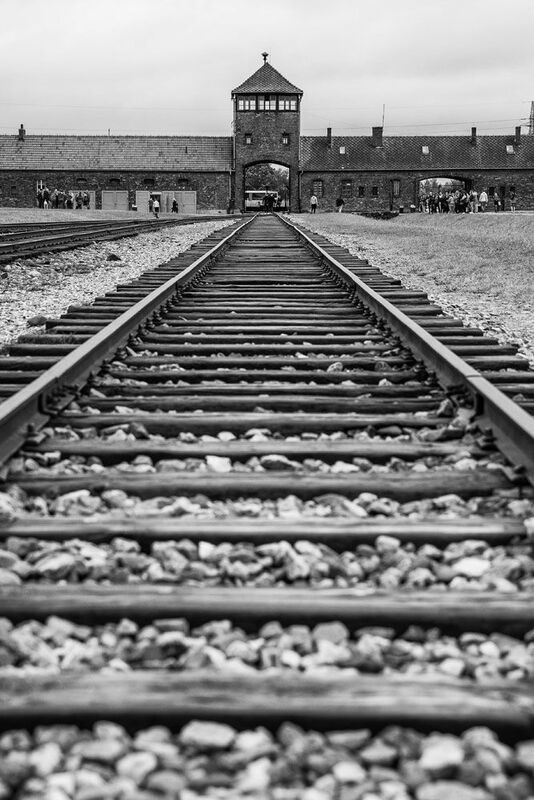 Guided tours of Auschwitz-Birkenau last approximately 3.5 hours. 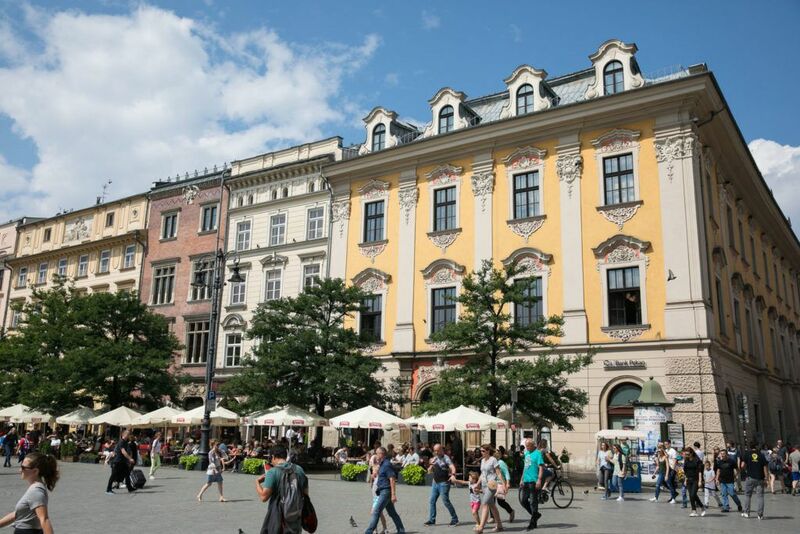 Multiple tours are offered per day in Polish, English, Italian, Czech, German, French, and Slovak. The first English guided tour is offered at 9:30 am. You can book your tickets in advance on the official Auschwitz website (preferred method!!) or when you arrive at the main entrance (if you like waiting in line with the risk that all of the tours are booked). A guided tour costs 50 PLN per person and covers your educator (tour guide) and audio guide. To book your tickets online, visit the official website. Tickets can be booked online up to 5 days before your visit. If you need to book your tickets less than 5 days in advance, you can contact the museum via email. 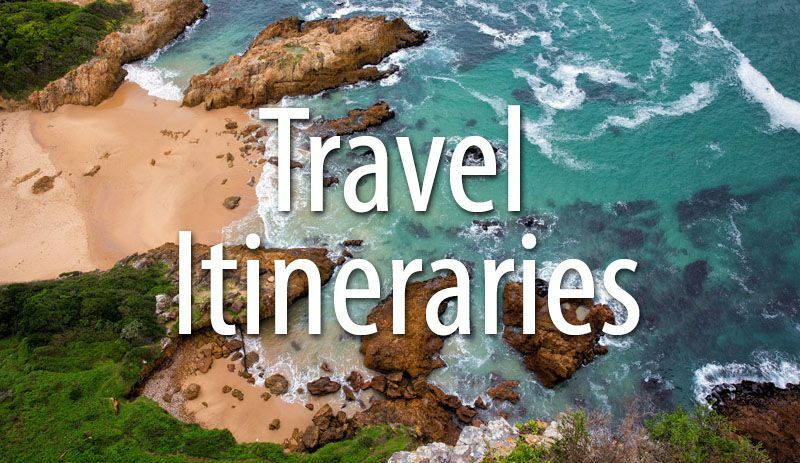 Pro Travel Tip: Tickets can be booked up to three months in advance. 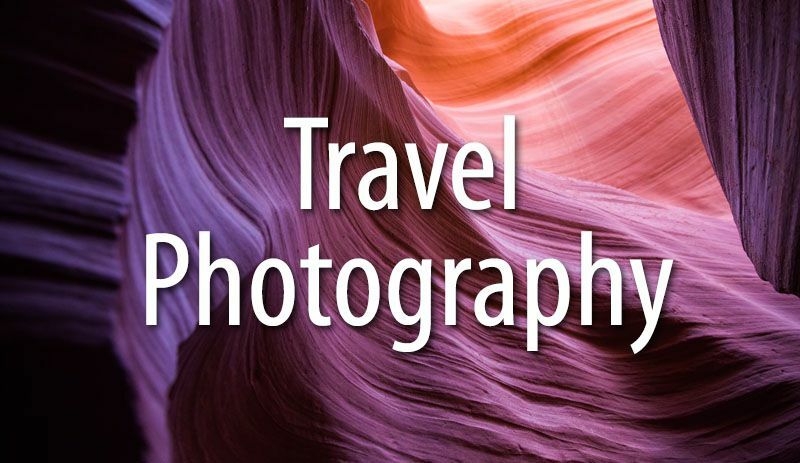 In order to get the time slot you want, make your booking as far in advance as possible. What If You Do Not Reserve Your Tickets in Advance? 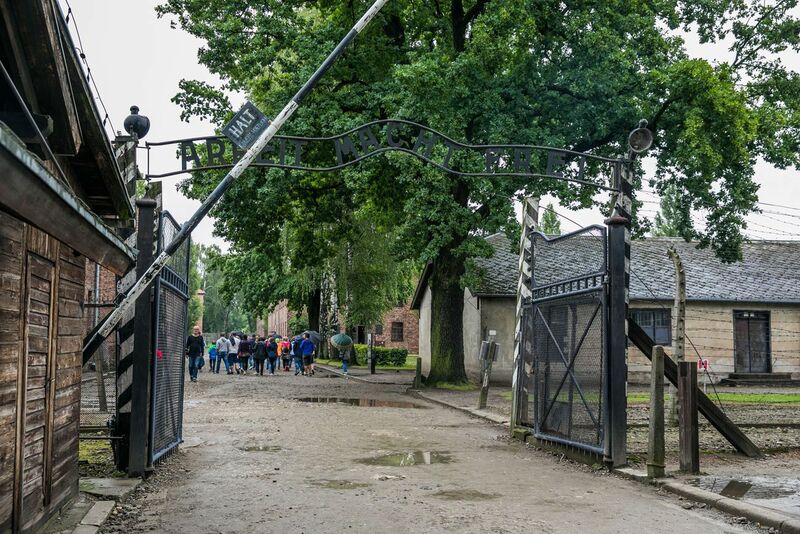 It is possible to show up at Auschwitz-Birkenau and purchase your tickets on the spot. But you have to be willing to wait in line, risk getting put into a tour several hours after your arrival, and risk not getting a ticket at all. There is a ticket booth, a white information booth, which sells the remaining tickets for the day. Just look for the long line snaking out into the parking lot and you know that you are in the right spot. The waiting time to get tickets can be just a few minutes or it can be an hour or longer. During our visit, it was a rainy day, so crowds were lower. The line was short and lots of spots were still available for the remainder of the day. But on weekends during peak season, you probably will not be so lucky. If you can, reserve your tickets in advance. This saves you waiting in the ticket line and you can get the time slot you prefer. 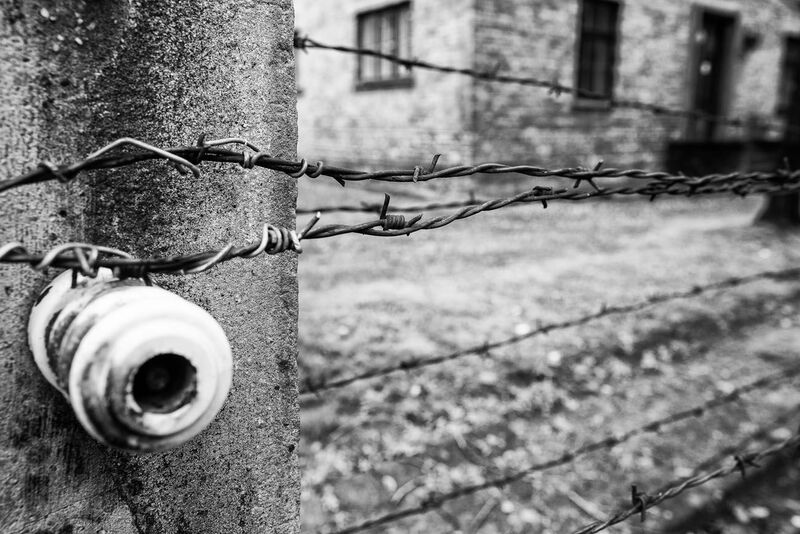 There are two parts to a visit to the Auschwitz concentration camp: Auschwitz I and Birkenau. 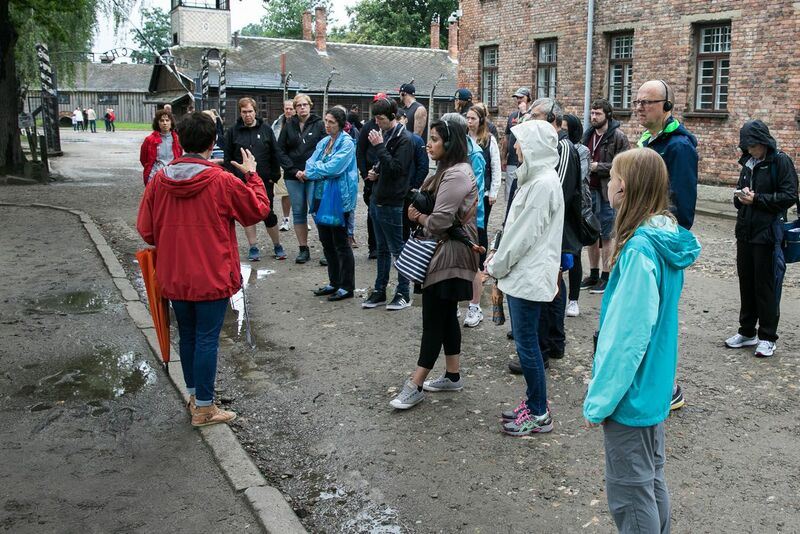 On the guided tour with an educator, it takes about 1.5 hours to visit Auschwitz and 1 hour to visit Birkenau, with a 15-minute break in between. You tour starts with a quick pass through security and a short line to get your audio guide. This audio guide is really just a pair of headphones that allows you to hear your guide. With these headphones, you can easily hear everything your educator says and he or she doesn’t have to yell out to the 30 people in your group for the next 3 hours. Plus, you can still hear your guide when they are out of sight (which does happen as you tour the buildings). Auschwitz I is the original concentration camp. While you are here, you will tour the barracks, view black and white photographs taken while the camp was in operation, view the prison cells, and learn some harrowing statistics. Without going into too much detail, since you will learn all about this on the tour, here are a few photos, just so you know what to expect. The tour starts with a walk through the gate “Arbeit Macht Frei” which means “work sets you free.” This, of course, was a lie. Here is our tour group. There were tons of tour groups on the day we visited, one entering the site right after the other. Sobering statistics about the death toll. Barbed wire and the electrified fences. 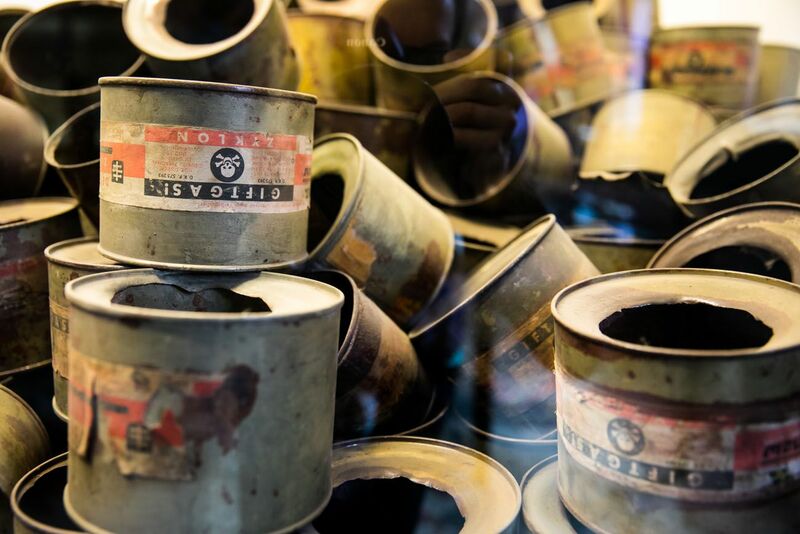 A collection of the Zyklon canisters which held the pellets used in the gas chambers. 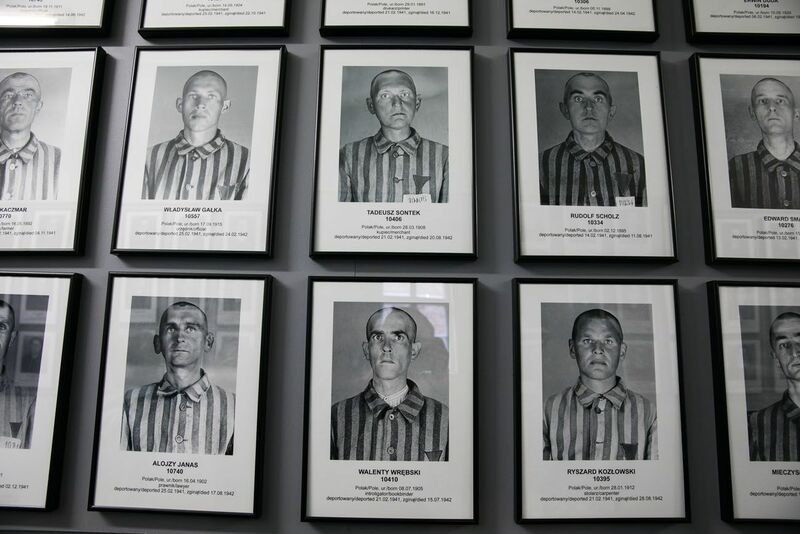 During the tour, you will walk down a long hallway where hundreds of photographs of the victims are hanging. 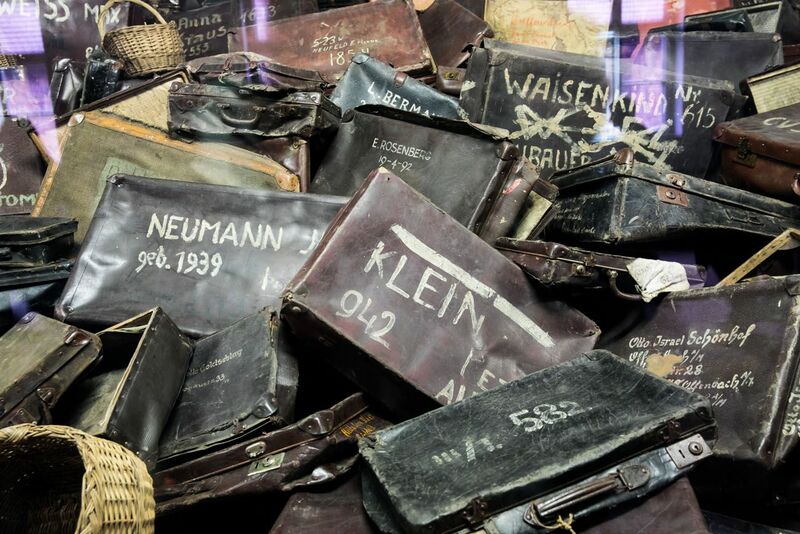 The luggage of the deportees to Auschwitz. Upon arrival, belongings were gathered up, sorted, and clothing, gold, shoes, and items of value were taken by the Nazi’s and sent back to Germany. Barbed wire on the electrified fences. Halt sign and a watch tower. A view of the crematorium. Auschwitz I and Birkenau sit a few kilometers apart. If you are on a tour or have a driver, they will shuttle you between the two sites. If you are traveling independently, there is a shuttle bus that runs every 10 minutes between the sites, and it’s free. Birkenau is massive. This is the camp that was built in 1941 to house the huge number of deportees from Europe. Just before liberation in January 1945, the Germans blew up most of the barracks and the crematoriums to hide their crimes, but this is still well worth the visit. It’s seeing the sheer size of Birkenau where you really get the sense of how big of an operation this was. It can be a very unsettling experience. Again, here is a tour through Birkenau in photos. 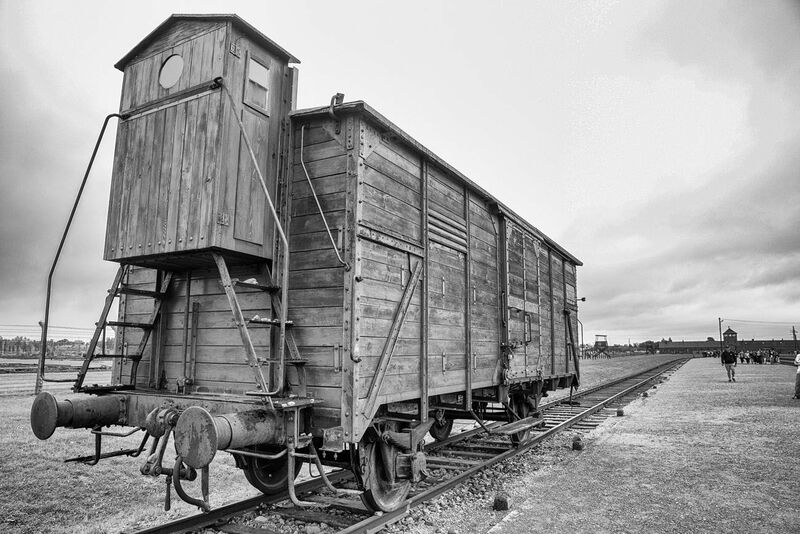 By the thousands, people were transported to Birkenau by train, on the very tracks in this photo. Original cattle car that was used to transport deportees. 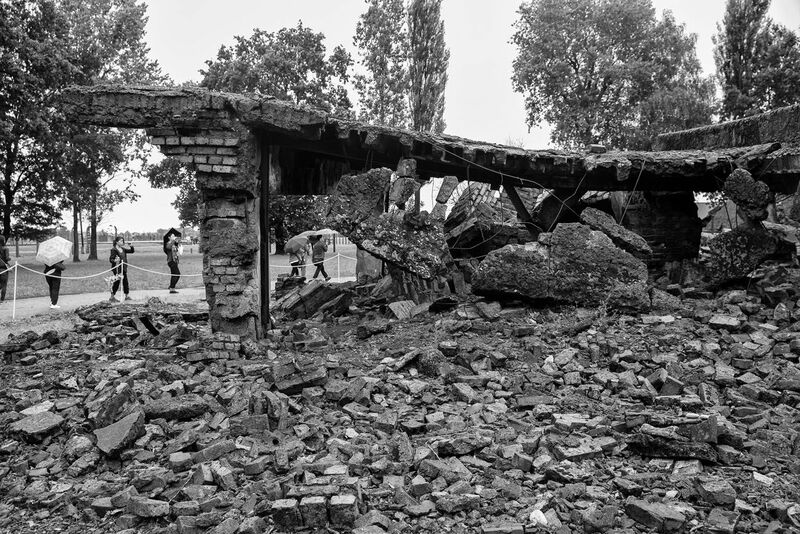 The Nazi’s dismantled the crematoriums and many of the barracks just before the arrival of the Soviet troops. What remains are these ruins, still untouched since 1945. Beyond this barbed wire fence, just the foundations of the mens barracks remain. Birkenau is enormous and in this photo you can get a sense of the size of this place. A view of the living conditions in the women’s barracks. More than ten women would share one of these platforms. Each barrack would hold up to 600 people. The tour ends at Birkenau. 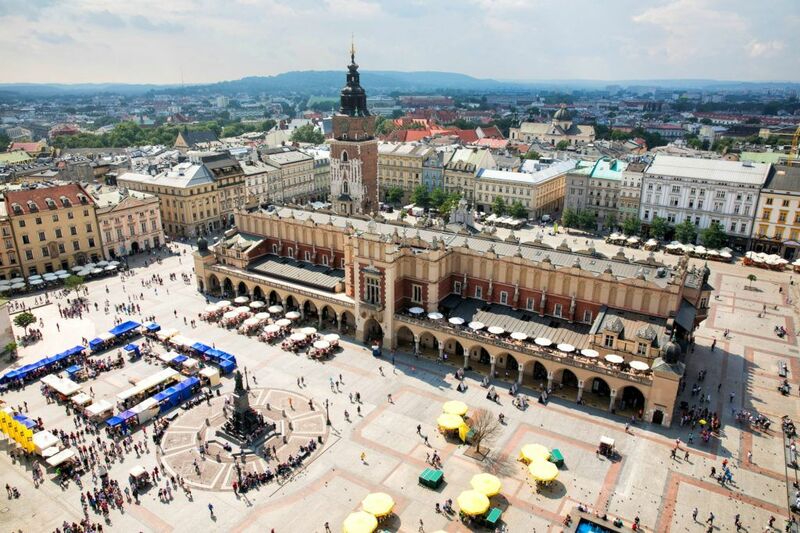 If you arrived by private driver or tour, you will be taken directly back to Krakow from here. 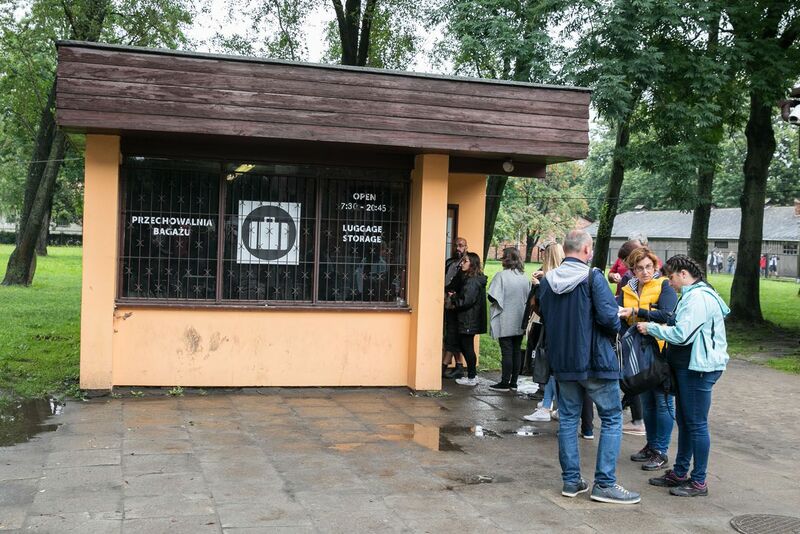 If you arrived by bus, train, or your own car, you will have to take the shuttle back to Auschwitz I and then get to the bus or train station. Backpacks and handbags cannot exceed 30x20x10 cm (about the size of piece of paper). Basically, you cannot carry anything other than a small purse. You can leave your bags in your car or in the luggage storage facility near the main entrance. To use the toilets, you will have to pay 2 PLN. Wear a comfortable pair of shoes than can get dirty. For most of the visit you will be outside. The paths are a mix of dirt and stone, so the surfaces are rough and uneven. If it is raining, be prepared to dodge mud puddles. It rained for several days before our visit and many of the trails were muddy. It is not recommended that children under 14 years of age visit the museum. During our visit, Kara was 13, just 1 month shy of turning 14. We saw several children younger than Kara during our visit. To make the most of your visit, it’s a good idea to learn a little background before you visit Poland. Night by Elie Wiesel is a short, unforgettable memoir by the author, who was a survivor of Auschwitz. 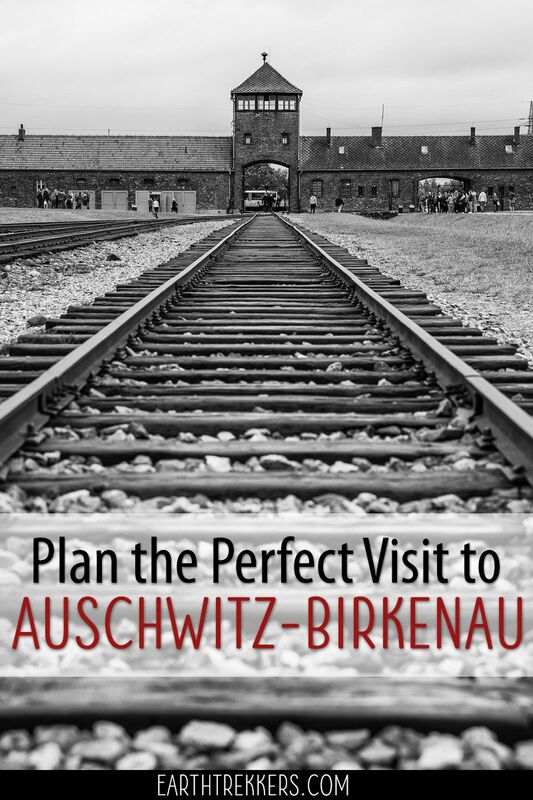 Are you planning a trip to Auschwitz-Birkenau? Comment below if you have any questions or if you have any advice for our readers.